For this month’s employee spotlight, we are proud to feature Diego I. Flores Lizarralde, client services specialist. Diego first began his career with Flores three years ago in February 2016. He started as a junior bookkeeper while still obtaining his finance degree, with a minor in management, from San Diego State University. Shortly after working part time at Flores, Diego became an accounting associate and was sending financials himself, along with managing his own clients. Today, he works in the Flores Business Development department as a client services specialist. His primary duties include onboarding new clients, setting them up, and making sure they have everything they need for success. Diego’s history of living in Venezuela, studying abroad in Madrid, Spain and Vancouver, Canada contributes to his overall communication and marketing skills; these skills have been utilized and enhanced during his meetings with prospective clients—another of his primary duties, along with bookkeeping. He appreciates the exposure he is experiencing by meeting with clients and networking. Diego understands the significance of human connection and the importance of effective communication. When asked what Diego’s favorite aspects about Flores are he gave multiple answers, starting with Flores’ flexibility and support with his schooling. 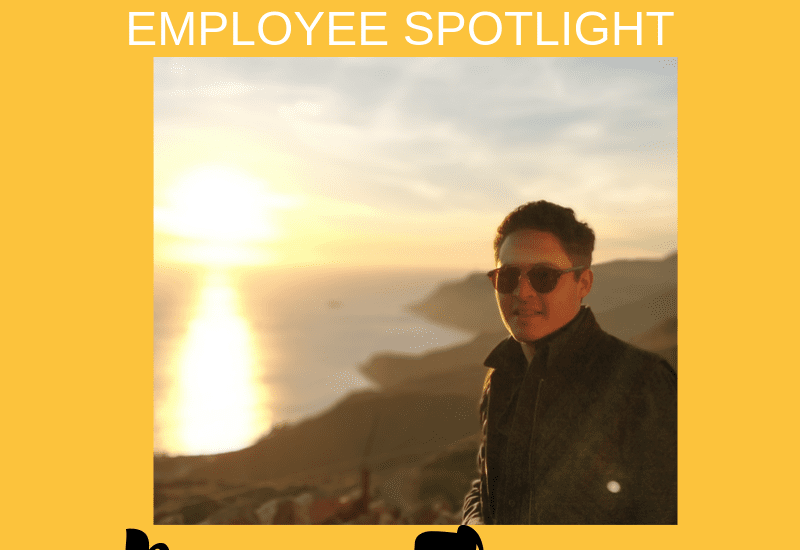 Diego shares how Flores differs from other accounting firms because most companies wouldn’t have been open to taking the time to train a part time working student. He states that his school schedule was never a problem. The owners of Flores were very understanding about his situation and even helped pay for his last semester of college. Diego says traits like these contributes to Flores’ strong connections throughout San Diego; they truly care. Though Diego is a long way from his home country of Venezuela, he is grateful for the structure and opportunities Flores has given him. His future goals include obtaining his masters degree and continuing to learn and grow professionally. In his free time, he loves to snowboard with his friends and work on his cars.